The introduction of robotic surgical technology into urological reconstruction, particularly pediatrics, has introduced new horizons for reducing the morbidity and enhancing the efficacy of surgical repair of congenital conditions in children. In reviewing the evolution of pediatric urological applications of robotic surgery, we wanted to address the different levels of reported utilization of pyeloplasty and ureteral reimplantation as two of the most common procedures. Review of the published literature sought to explore the described variation in clinical application of these two common procedures, and the evolution of the practice over time. 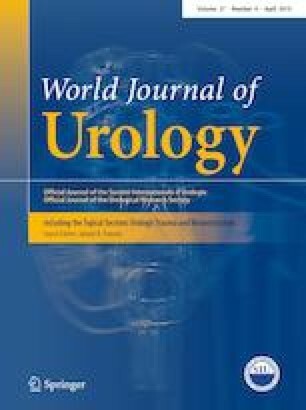 Reported outcomes suggest that variations in patient selection, the learning curve and in reporting of outcomes all contribute to the wide variation in utilization of pediatric robotic pyeloplasty and ureteral reimplantation. These technologies are demonstrating their potential as well as the challenges of use in children and there is a steady evolution of capability. Practitioners should be aware of both the possibilities as well as the risks of such new technology in the care of our patients. This requires thorough and open reporting of outcomes, the willingness to introduce change and integrate new findings into practice.